This was our last project and it took a couple of hour sessions to complete. I came across this project on another great blog and wanted to give it a go. The first stage was to cover our paper with a huge range of colour and organic shapes using a wax crayon. When the page was filled with solid colour we painted over the page with black tempera paint with a few drops of washing up liquid (this helps the scratching process when it's dry). 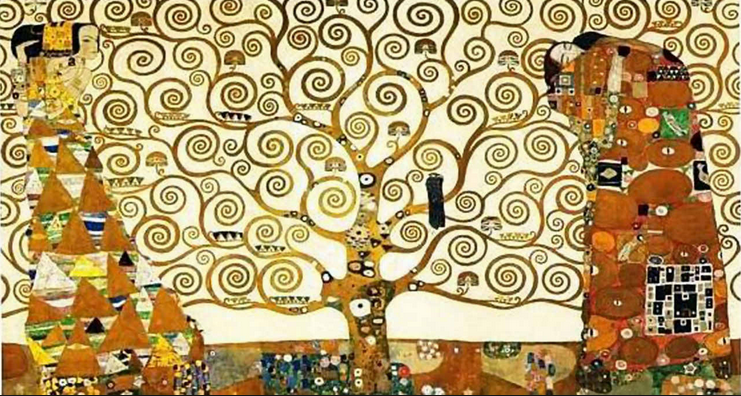 We looked at Klimt's "Tree of Life" and used that as inspiration to create our own. utifully and they really come to life when held up next to a window. They're so beautiful and it's a great project to do that isn't too tricky. Thanks for checking it out. Apologies, I thought I had linked to your site, I'm normally good at giving credit!